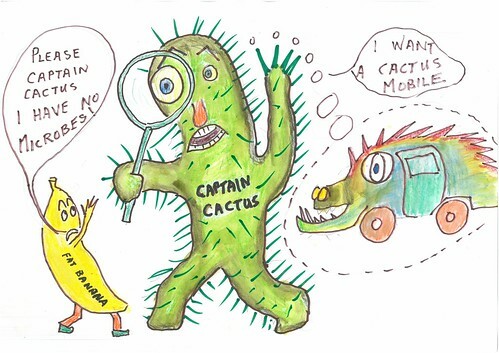 “I would have to go full time against evil and give up my job.” Captain Cactus replied. 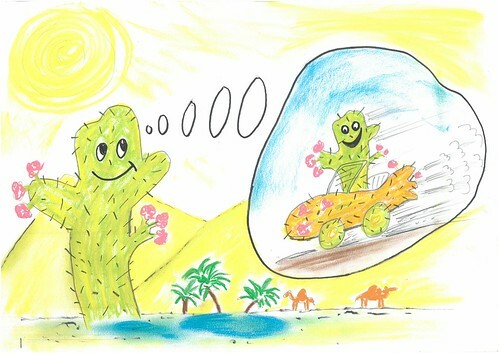 Captain Cactus decided it was time to make his own cactus mobile 3000. As soon as it was ready he was going to give it to his bestest pal, Mr Peep the fat banana. He decided to quit the job and get building a cactus boat that’s prickle free and germ free. Swimming and washing everyday. On the sea he met his arch nemisis. Mr Bad Boss Boss. Captain Cactus wasn’t afraid because he had three new allies. Mr bad boss made a new army and he named them the germ crew.